Students should wear black clothing and flat footwear. Longer hair should be tied back. Students will work on each other so please be prepared to remove your own makeup before the start of the practical session. Products will be available for you to use on the day but feel free to bring your own kit if you wish. We cover theory in the morning and then spend the majority of the day practising the make techniques. In order to complete the course you will undertake a number of case studies and submit these for assessment. Why choose Bristol Beauty School? 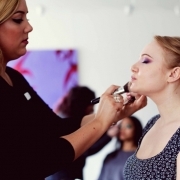 We have small classes – we take a maximum of 10 students per makeup course. This allows the opportunity to ask questions and time for students to receive individual support if they require it. Our tutors have a wealth of knowledge, with over 25 years industry experience. We specialise in teaching adults and have worked at City of Bristol College. We also pride ourselves on being supportive, friendly and helpful. We are fully accredited with the Association of Beauty Therapists (ABT), which means you can work professionally and you will be able to obtain the appropriate insurance. We are here to provide you with on-going support and you are always welcome contact us to answer any query you have regarding your training or future career as a beauty therapist. All our courses qualify you to work in a salon, at home or on a mobile basis, offering the specialised treatment(s) that you have completed. You can start earning by offering treatments to paying clients as soon as you have obtained your insurance. 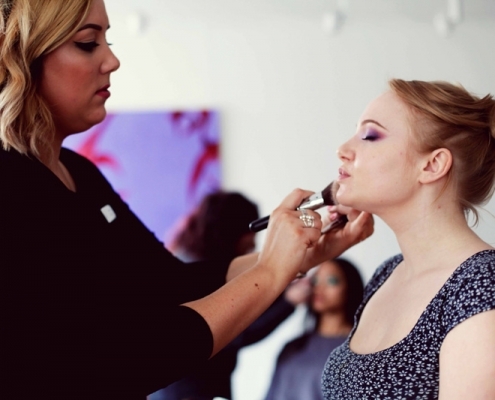 Many of our students have gone on to enjoy successful careers in the beauty industry. If you have a general enquiry, please contact Bristol Beauty School for more information.